Education export seminars and online webinars. Matchmaking and export counseling services at international trade shows overseas and in the U.S.
By organizing trade missions and educational seminars; providing matchmaking or export counseling services at trade shows; and recruiting buyer delegations to U.S. trade shows; the U.S. Government helps U.S. exporters expand global sales at trade events. Note: Grant funds are available to qualifying U.S. companies through the states of Kansas and Missouri that can be applied towards the cost to participate in any of the below opportunities and trainings. Building cultures of continuous improvement is an evolution and never-ending search for opportunities. Join Robert Martichenko, Founder and CEO, LeanCor Supply Chain Group, as he discusses his lessons learned while implementing and practicing operational excellence across many industries and organizations. In this thought provoking and engaging keynote, Robert will share the power of narrative leadership and Lean thinking to successfully engage teams and create a high-performance organization. Join the IRCKC for this mid-day event as guest speakers discuss India in 2019. Featured speakers include Gurbhushan Singh, Ed.D, with Johnson County Community College and Pritha Hariharan, International Program Director at Unbound. "Closing the Global Gap" is a series of conversations designed to address perceptions and realities of working and living across culture and language. Join Scarbrough International to learn about legal strategies to avoid and/or recover duty paid to U.S. Customs. In this training, discuss duty drawback, product exclusion and exemptions, foreign trade zones, free trade agreements, the generalized system of preference, Section 232 and Section 301. Join Pomerol Partners, Bestway International, and World Trade Center - Kansas City as we welcome Mr. John Saville, Her Majesty's Consul General for Chicago to Kansas City for a breakfast conversation on BREXIT and the potential impact on U.S. businesses. Don’t miss this opportunity to learn about federal, state, and local programs and assistance that are available to small businesses. Come meet and network with resources that help entrepreneurs plan, launch, manage, and grow their businesses. We will have 16 exhibits filled with federal, state, and local resources that promote small businesses via entrepreneurial development, small business loans, selling to the federal government, small business certifications, disaster recovery, international trade, etc. There will be resources to help women owned and veteran owned small businesses as well! As cities across the nation celebrate World Trade Week, join the Kansas City International Steering Committee to celebrate Greater Kansas City's 6th annual World Trade Day, an event focused on the importance of global trade and the recognition of our regions' international business community. In addition to networking with the international business and affairs community, we will have a broad discussion on the intersection of geopolitics, economics, trade agreements, and how all of it affects the value of the US Dollar. As 2019 continues to bring forth new changes, we may find ourselves with more questions than answers - What is Globalization 4.0 and how will it affect our exporting business? What should be our “AI Strategy”? How will we deal with political divisions while conducting international business? How do we define crises vs. opportunities? Join Kansas Department of Commerce on June 4th as they address the above issues in their keynote session on “Navigating Through the Ever-changing Global Trade Landscape”. Attorney Grant Leach from the law firm Husch Blackwell LLP will provide a presentation on the basic legal considerations that go into negotiating, executing, performing and terminating export distributor agreements. Register Today! Click on the appropriate link below to register. CLE credit pending for Missouri, Kansas, & Nebraska. COST: $30 per event. (Refunds up to 1 day before event). No cost to participate. Registration required. July 6-16 – Water Trade Mission to South Africa & Angola – Contact Glen Roberts at Glen.Roberts@trade.gov or Christine Kelly at Christine.Kelly@trade.gov or Elizabeth Laxague at Elizabeth.Laxague@trade.gov. Application Deadline is May 3, 2019. August 18-23 – Trade Mission to Central America in conjunction with the Trade Americas – Business Opportunities in Latin America Conference in Washington, DC. Contact Delia Valdivia at (310) 235-7203 or Delia.Valdivia@trade.gov. Application deadline is March 31, 2019. September 23-27 - Cyber Security Trade Mission to Denmark, Norway, and Sweden. Contact Gemal Brangman at (202) 482-3773 or Gemal.Brangman@trade.gov or Sheryl Hitomi at (408) 535-2757 or Sheryl.Hitomi@trade.gov. Application deadline is June 14, 2019. 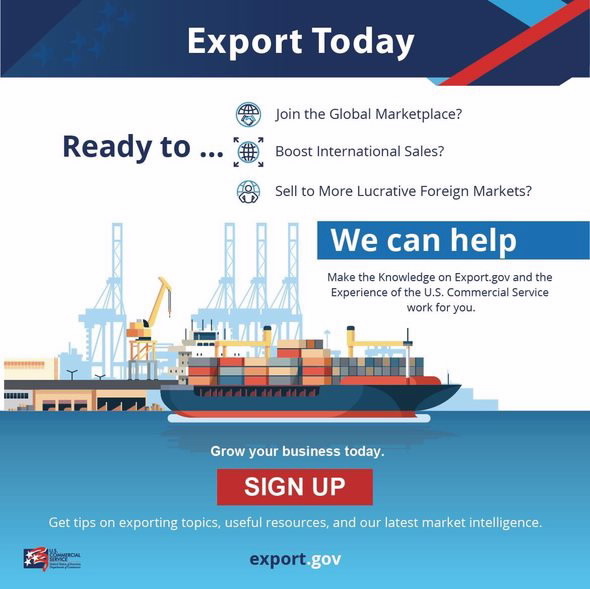 EXPORT INFORMATION BY INDUSTRY – Find the latest market intelligence, trade events, and trade leads for your industry. The option of business matchmaking meetings is now closed, however you can still take advantage of everything the Business Forum has to offer. 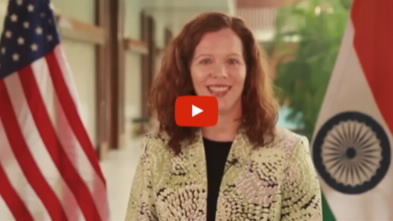 Get key insights on opportunities in India and the Indo-Pacific Region. Industry leaders will discuss major business trends, growth opportunities, and how to successfully break into this dynamic market. Commercial Diplomats from 20 countries in the region are present to meet with you individually to discuss your business strategy. These Diplomats pave the way for companies seeking to access quality business development leads and have deep industry and local knowledge. Through our online networking platform companies can arrange meetings with sponsors, U.S. company participants, and local company representatives attending Trade Winds. View testimonials from past clients. Join companies like Advanced Superabrasives Inc. who usedTrade Winds as a vehicle to make new export sales. Aileen Nandi, the Senior Commercial Officer in India, explains why you should consider India. she overseas seven offices throughout the country with a staff of 70 people. Reminder: Contact our state trade partners in Kansas and Missouri and ask about available grant funds that may be used to help offset the cost to participate in these events. Contact information is above.